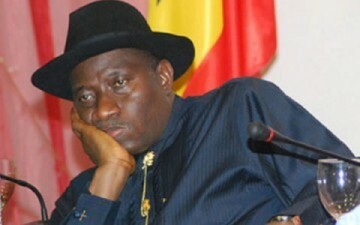 The House of Representatives may override President Goodluck Jonathan’s veto on bills passed by the National Assembly as part of moves to assert the lawmakers’ constitutional powers. As many as 10 of the bills passed by the 6th Assembly were returned by Jonathan. Findings indicated that the bills were being treated afresh by the House with the attendant cost and time implications. Already, the 7th House has passed over 32 bills since June 6, 2011. Investigations showed that about 70 per cent of the bills had not received presidential assent, save for the 2011 Supplementary Appropriation Act, the 2012 Appropriation Act and the AMCON amendment Act. Under Section 58 of the constitution, the President is empowered to assent to bills passed by the legislature in order to receive the force of law. However, where he withholds his assent, the constitution provides that he should communicate his reason to the legislature within 30 days of the passage of the bill. Failing to comply with this provision, the legislature is empowered to pass the bill into law after securing two-thirds votes of the two chambers of the National Assembly. Section 58(4-5) reads, “Where a bill is presented to the President for assent, he shall within 30 days thereof signify that he assents or that he withholds assent. However, the National Assembly has rarely invoked this provision since 1999 except in the case of the establishment of the Niger Delta Development Commission when it upturned the veto of former President Olusegun Obasanjo. It was learnt on Sunday that lawmakers had resolved that they might invoke the constitutional provision henceforth if Jonathan should continue to ignore bills by passed by the legislature. The Chairman of the House Committee on Media and Public Affairs, Mr. Zakari Mohammed, confirmed this when his comments were sought. “If the trend (not assenting to bills) continues, it is most likely that we shall apply the constitutional provision. “We cannot continue this way all the time. “The legislature has its role to play, so is the executive”, he stated. Lawmakers were said to have resolved to be “bold” in tackling the President, following the May 29 accusation and counter-accusation between the Speaker of the House, Mr. Aminu Tambuwal, and Jonathan at the Presidential Villa, Abuja on the refusal of the President to assent bills passed by the House.